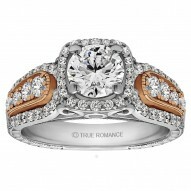 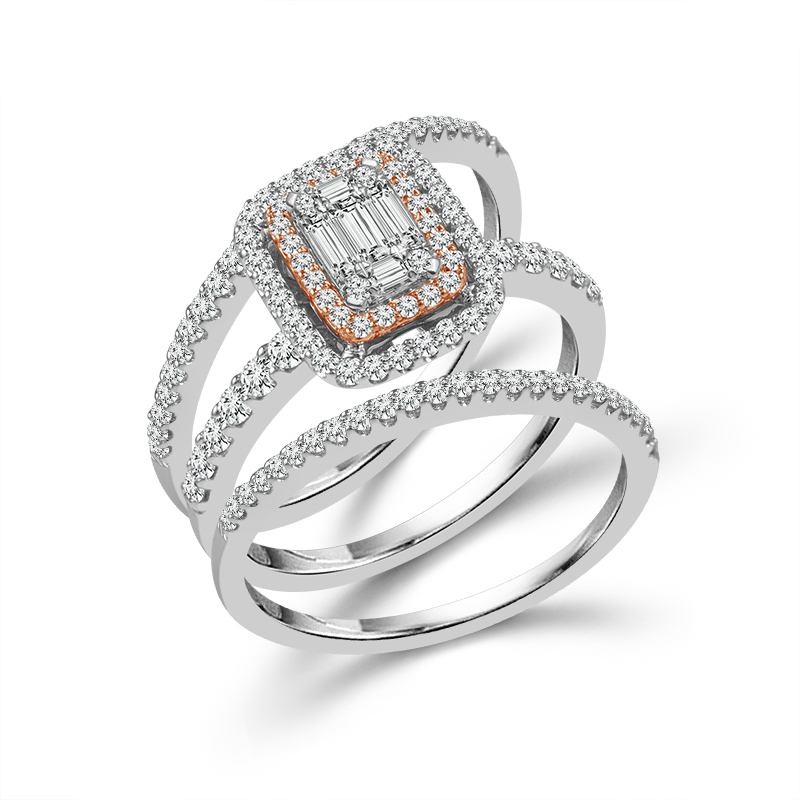 This beautiful 3 piece Bridal Set is crafted in 10KT White Gold and features a composite center with Brilliant Round Diamonds and Baguette Diamonds in a double Rose Gold and White Gold Halo. 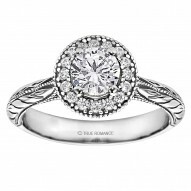 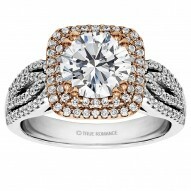 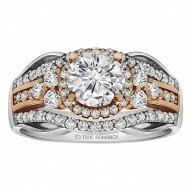 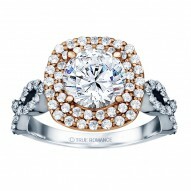 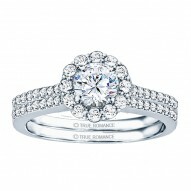 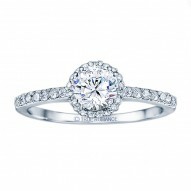 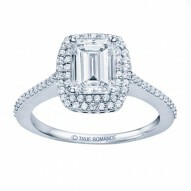 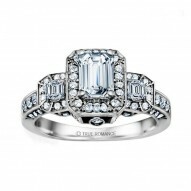 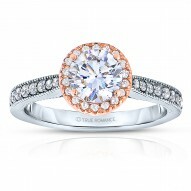 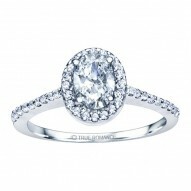 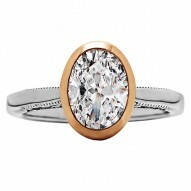 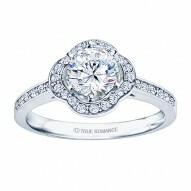 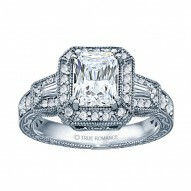 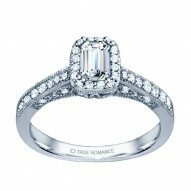 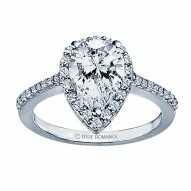 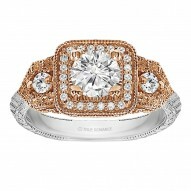 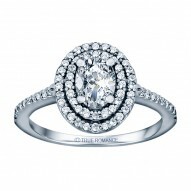 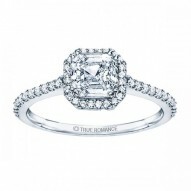 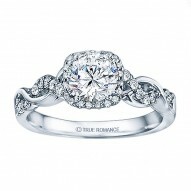 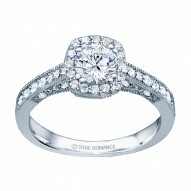 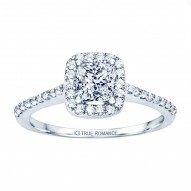 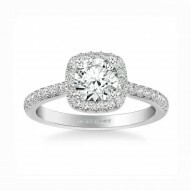 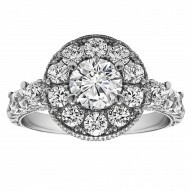 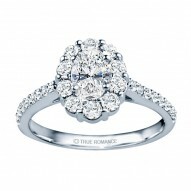 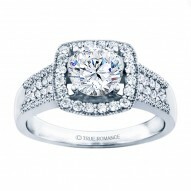 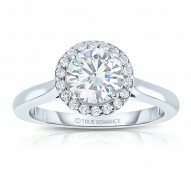 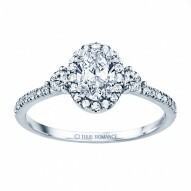 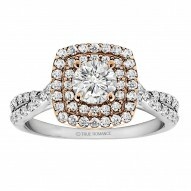 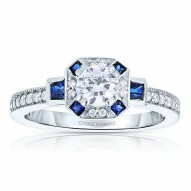 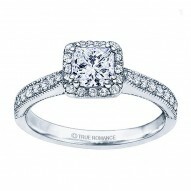 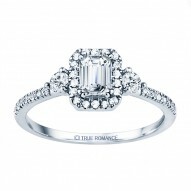 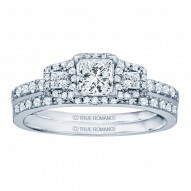 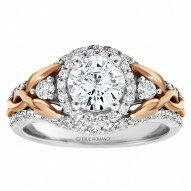 Brilliant round diamonds adorn the engagement ring shank and two matching bands. 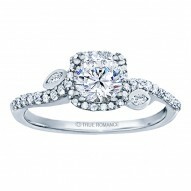 Diamond total weight is .80 cttw.